Work your clothes while they work for you. The scientists from the Georgia Institute of Technology that created a fabric that can harvest energy generated from sunlight and motion are getting more attention for their textile with a new feature in the Los Angeles Times. 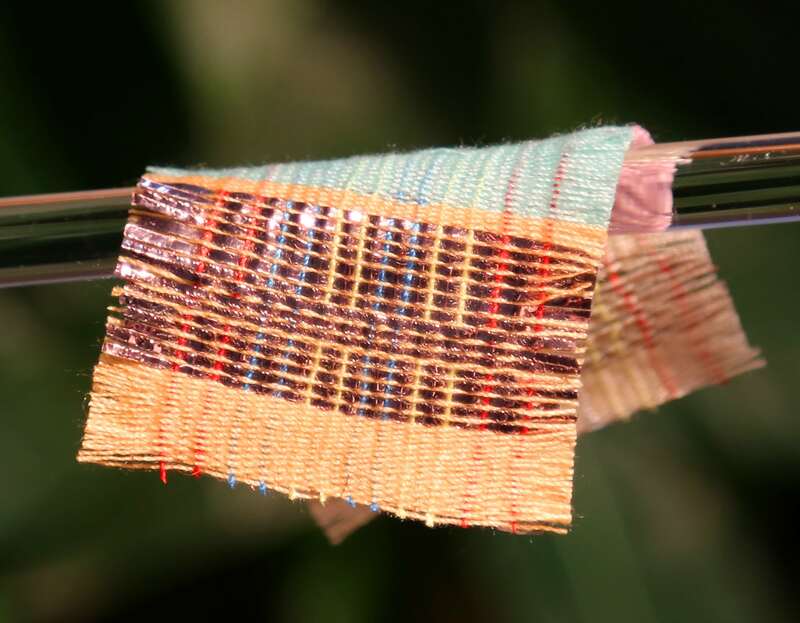 To harvest energy from the Sun, the fabric uses dye-sensitized solar cells formed into long fibers. Fiber-shaped triboelectric nanogenerators are used to harvest energy made through movement. Finally, fiber-shaped supercapacitors store energy in electrochemical form. The fiber-shape and combination of these three elements make it possible for the material to be flexible enough to be added onto typical garments. As our smartphones have yet to pack the same battery power as our trusty old 3210s, having clothes that can charge them is a pretty great alternative. Under sunlight, the solar fibers provide most of the power. Indoors, motion-generated energy takes over. There’s also no need to do anything dramatic to gather power; you simply wear the clothes and go about your day. “Our idea is to try to use whatever is available, whenever it’s available,” Wang adds. Charging your phone or smartwatch on the go isn’t the only thing this fabric can do. The fibers could be woven into existing textiles, such as cotton, so that existing clothes could have energy-harvesting capabilities. Theoretically, this could also usher in the development of interactive garments or advancements in flexible screens, medical monitoring devices, and possibly even innovations in robotics. Right now, the team has about 225 square centimeters (35 square inches) of the fabric, and it’s about as flexible as woven straw. Eventually, they hope to be able to make it more durable, improve performance, and make the fibers even thinner, so that it offers the same flexibility as cloth.